competitions, standard blade length of 30” – 35” permitted. audience interest, such designs should be in good taste. You must wear official fencing knickers -- not white baseball pants or white denim pants -- for all competitions. IN THE INTEREST OF SAFETY, FENCERS NOT WEARING OFFICIAL FENCING KNICKERS WILL NOT BE PERMITTED TO FENCE. All USFA rules will be enforced. 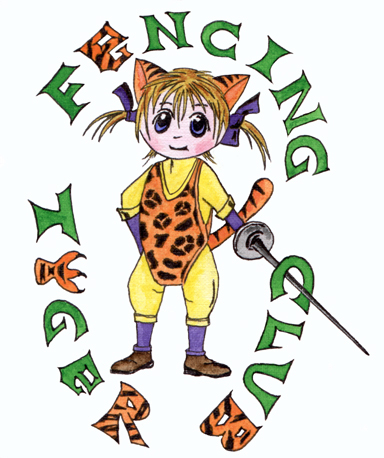 Fencers must be 13 years of age on Jan. 1, 2008, to enter competitions such as E and under, D and under, C and under and Opens. For age restricted competitions, listed below, the year of birth is listed. These are for all competitions, including Junior Olympic Qualifiers and Regional Youth Circuit events. Shop Online @ Blue Gaunlet!! Blade Runners Fencing Supply Inc. Please note that the USFA does not recommend any Corporate Member over any other and that these listings are provided as a free service to Corporate Members. Any Corporate Member which has a World Wide Web presence may have their URL included in this list by sending an email to the webmaster at Webmaster@USFencing.org.